Dean Baker has taken the helm as president at Intelligencer. LANCASTER, Pa. — October 17, 2016 — The board of directors of Intelligencer, a commercial printing and direct mail services firm, has promoted Dean Baker to president. A Lancaster resident, Baker is a McCaskey High School and Millersville University graduate who joined the Eden Road firm in 1985 as an estimator. He then worked as a sales representative, expanding Intelligencer’s reach into the Baltimore/Washington, D.C., market, before becoming director of sales in 1997 and VP in 2000. 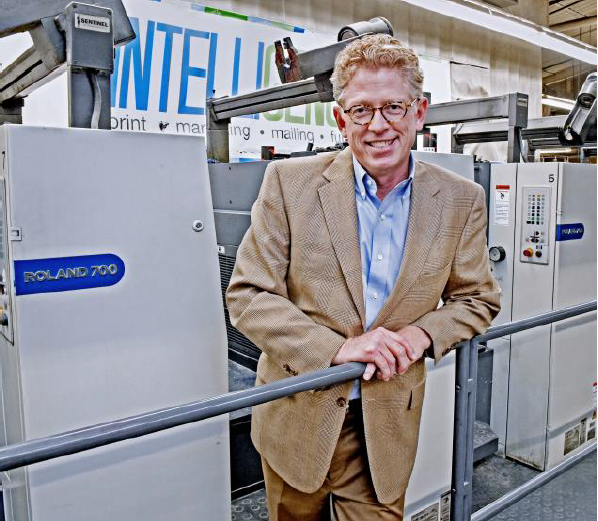 Intelligencer, founded in 1794, has 118 employees and serves the offset and digital printing, mailing and fulfillment needs of customers nationwide. Intelligencer also continues to push the boundaries of technology to ensure that its clients take full advantage of the latest advances in graphic communications and cross-media services such as cutting-edge offerings with its trademarked High-Definition Printing and Hybrid Variable Data printing for in-line applications.